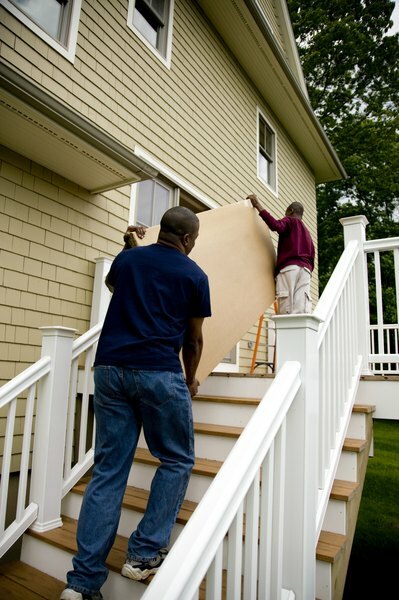 You can pay for your remodeling costs with a cash-out refinance. 1. How do I Attract a Lender for an Equity Loan? Remodeling your home -- whether you are building a new master bedroom or updating your kitchen -- can be expensive. But if you have equity in your home, you can pay for the remodeling by completing a cash-out refinance. In this type of transaction, you refinance for more than what you owe on your mortgage loan. If you owe $100,000 on your loan, and your house is worth $150,000, you can refinance for $130,000 and walk away with a $20,000 check to cover your remodeling costs. Closing such a refinance, though, does require you to follow certain steps. Call several mortgage lenders and schedule appointments to talk about refinance terms and fees. You don't have to refinance with the bank that owns your current mortgage. You can refinance with any lender licensed to do business in your state. Keep in mind that refinancing isn't free. The Federal Reserve Board says homeowners typically pay 3 percent to 6 percent of their outstanding loan balance in closing costs to pay for a refinance. If you shop around, you'll boost your odds of nabbing both the lowest interest rate and the smallest closing costs. Determine the amount of equity in your home. This is important for all refinances, but especially so for a cash-out refinance. Your equity determines how much extra cash you can take out. Your lender will send a real estate appraiser to your home to determine its current market value. If you owe $120,000 on your loan, and the appraiser determines that your home is now worth $160,000, you have $40,000 in equity. Calculate how much money you'll need to pay for your remodeling. This requires you to shop around, too. This time, though, you'll be getting estimates from contractors. Once you have a rough estimate of your remodeling project's cost, and you know how much equity you have in your home, you'll know whether you can rely on a cash-out refinance to cover the costs of your project. For instance, if you have $20,000 in equity, but your second-floor addition is estimated to cost $40,000, you'll have to come up with funds outside of your cash-out refinance. Copy such important financial papers as your last two paycheck stubs, last two months' bank account statements and last two years' income-tax returns. Send these to your mortgage lender, which will study these to determine whether you have the finances necessary to cover your new mortgage payments. Close on your cash-out refinance if your mortgage lender approves your refinance application. This will require you to sign several closing documents and pay your closing fees. Once you close on your loan, you'll receive your cash. Bankrate: When is Cash-Out Refinancing a Good Option? Bank of America: Is a Cash-Out Refinance Right for You? What Happens to the Equity if I Refinance? What Is a Mortgage Bridge Loan?